Grim Oak Press, 9780984713691, 549pp. Like Unfettered before it, the contributing writers of Unbound were allowed to submit the tales they wished fans of genre to read--without the constraints of a shackling theme. The result is magical. Twenty-three all-original stories are sure to captivate you--some will move you to tears while others will keep you turning the pages long into the night. The power of Unbound lies in its variety of tales and the voices behind them. If you are a fan of discovering new writers or reading the works of beloved authors, Unbound is for you. Return to Landover with Terry Brooks. Go to trial with Harry Dresden and Jim Butcher. Enter the Citadel and become remade with Rachel Caine. Survive a plague with John Marco and his robot companion Echo. Be painted among the stars by Mary Robinette Kowal. These tales and the others that comprise the anthology are only bound by how enchanting and enthralling they are. 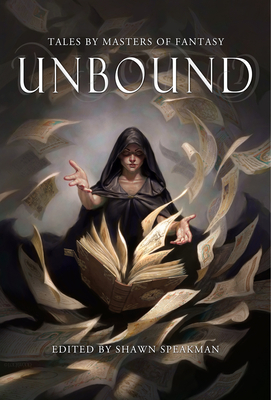 Unbound is filled with spectacularly wonderful stories, each one as diverse as its creator. You will be changed upon finishing it.